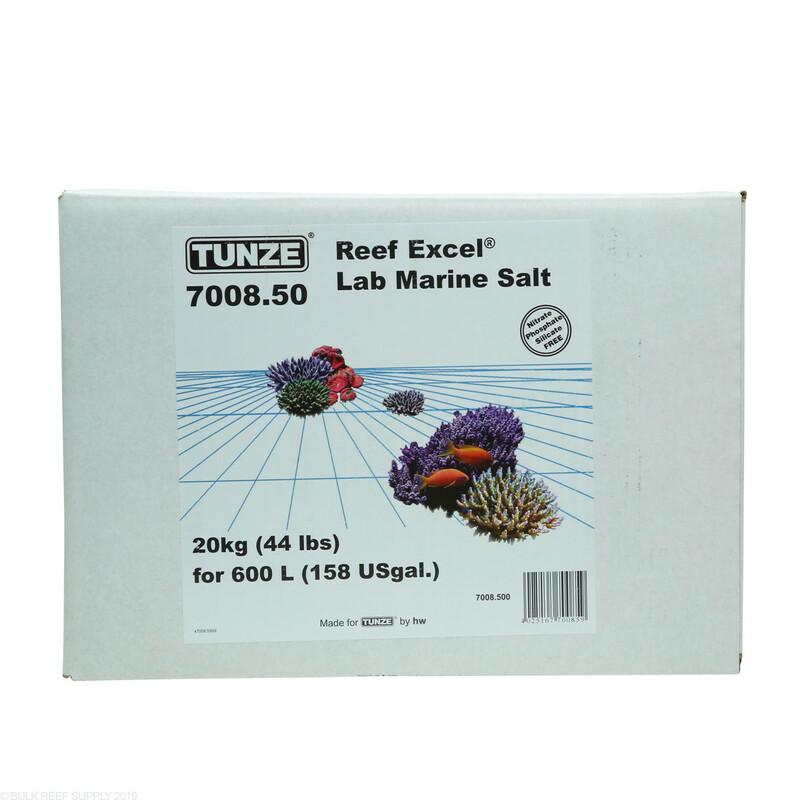 Reef Excel Lab Marine Salt contains traces and bio elements in quantities which are identical to those in natural sea water. Reef Excel is examined for constant quality and composition by an independent testing lab. BRS recommends using a complete salt mix, to save money and time on testing supplies and major element adjustments. 44 lbs. bag: Makes 158.5 US gallons at a density of 1.020 at 20 deg. C (68 deg. F). Reef Excel Laboratory Marine Salt is the outcome of decades of research and the further refinement of hW sea salt. In its composition, this sea salt is based on the latest international marine biological findings as well as detailed chemical analyses, and contains traces and bio elements in quantities which are identical to those in natural sea water. In regular intervals, Reef Excel is examined for constant quality and composition by an independent testing laboratory accredited in keeping with German/European standard DIN EN 45001. Produced and analyzed in keeping with the criteria for quality management in conformity with international standard ISO 9000ff, Reef Excel will dissolve crystal clear and free from precipitate within a very short period of time. Nitrate, Phosphate and Silicate Free.